First off HAPPY NEW YEAR!!! 2015 was a wonderful, crazy and injury filled year. Here at Noelle Bell Photography I wanted to take a minute to sum up the year with a review of my favorite images from this year. First off, a HUGE “THANK YOU” to so many of my clients who were so incredibly patient with me when I couldn’t email, edit or had to schedule a second shoot because my wrist was giving out. 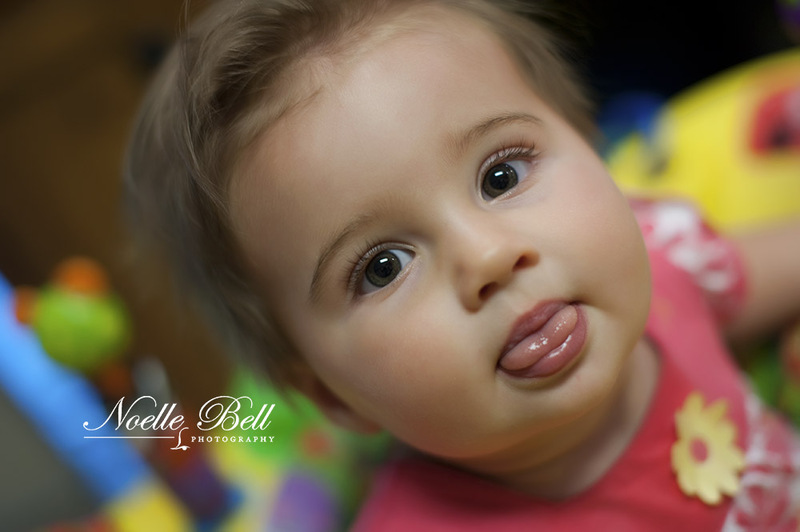 The success of Noelle Bell Photography rests on the amazing clients I have. The chance you all have given me to cast the vision of creativity into the portraits I have created is truly an honor. So without futher ado and in no particular order, here are my top fav’s from 2015. I can’t wait to start creating amazing images in 2016!! If you haven’t yet scheduled your senior pictures yet contact Noelle Bell Photography today as amazing images can be created not only on location but also in the studio. We have 5 openings remaining for January and 8 open in February, so call the studio at (865) 661-2744 or contact us at www.noellebellphotography.com today. We can’t wait to capture this special season in your life. You can book your session online at the website now. This year has been great! Stellar, a year of stretching and growing and pushing myself as well as taking risks that has come to a very fast finish! From a busy high school senior portrait session to the beginning of my pet portrait photography line. From 8th grade portraits sessions to beautiful families in the fall season, to beautiful weddings and bridal portraits. Here are some of my absolutely favorite images from 2013. And just in case you are counting, I went over 20 images, but I just couldn’t narrow it down more than this. From all of us here at Noelle Bell Photography we wish you all the best in 2014! A few months ago Noelle Bell Photography had the privilege of photographing Travis, Rachel and Eli Monday at the Historic Tennessee Theatre where Travis works. We had the run of the theatre and were able to go to some places in the theatre that I had never seen before. Rachael had been wanting some images of the family in the theatre since Travis had been working there for a few years now. We spent most of our time capturing Eli and even Travis got in on the fun (I told him it wouldn’t be that painful). Here are some of the images we captured from our time in the theatre. This first one is my favorite of all three of them! Here are some of the images from behind the scenes at the Tennessee Theatre. And here is my favorite image from the lobby of the theatre. After a consultation with Travis about the images that he had in mind and a look around the theatre a few days before, I had a good idea of the flow we needed for the shoot. If Eli was a bit older we probably could have taken a lot more time, but it was dinner and nap time so we had about an hour and we were able to get all of the images done in the hour we had. As for the rest of the images, I’ll let Rachel and Travis share them. Thank you both for all the fun we had on the shoot. And thank you to Bill and Rocky for all of your assistance, I couldn’t have done it without your help. If you haven’t yet scheduled your family portraits or Holiday pictures, contact Noelle Bell Photography studios at (865) 661-2744 or email noelle@noellebellphotography.com today to custom tailor your family portrait session. 2012 has come and gone and with it so many wonderful memories and so many things have happened here at Noelle Bell Photography, both good and bad. The bad can be summed up with one thing, falling and fracturing my foot while loading up things for the bridal show in March. So I was off my foot completely for March and April and in a boot. I was not up to shooting until late May and even then it was just a little. So in July and the following months I began to get back into the groove of shooting and growing my business. I did discover that bones don’t heal as quickly as they do when you are younger. In August I had the joyous opportunity to leave my day job and take Noelle Bell Photography full-time! I was so excited and there were now hours in the day for all the things that I had spent many hours late at night doing. My husband and I took our first vacation in 3 years and then with the fall season I spent many hours photographing families, more 2013 graduating high school seniors and building my Christmas set in the studio in preparation for the holidays. The holiday portraits were wonderful and I finally can share some of the images with the families that were saving the images for holiday gifts. Last night we rung in the new year after taking a week off and spending it with family and friends and remembering what the reason for the season truly is about. As 2013 begins, I wanted to sum up some of my favorite images from 2012 and say a very special thank you to all of my clients that I have had the privilege of working with and thank you so much for making this year truly special! Here is a look back on 2012 and the top 20 images from last year here at Noelle Bell Photography. There were so many great images to choose from and so many that I hated to cut, but these were by far my favorite ones! These images are in no particular order. Holiday ornaments are a great present to give to family and friends this Christmas season. Just the other day I received two of the sample ornaments that I will be including in my Christmas packages this year! These are only two of the different sizes that will be offered! These will make a great addition to any holiday gifts you want to give to your clients or just a nice family memory to add to the Christmas tree for this year and they are at a very affordable price of $30. Here is one of the sample shapes I ordered from the holiday session with Stacie and Andy Johnson. And here is the second shape from my session with the Hotchkiss family! These ornaments can be purchased from any sessions in 2012 and it’s just a great gift for parents and grandparents or a special way to remember the year on your own Christmas tree this year! It’s even a great way to remember your high school seniors as they will be off to college next year. These ornaments are metal and will come in a sweet little cloth that you can use to preserve them when you go to pack the ornaments away at the end of the season. So if you are wondering what to get for Christmas this year, look no further and call Noelle Bell Photography today to order your ornaments today! Here are some of my favorites from today! Emily is growing up so fast! But boy is she adorable! Thanks Becky for a great visit. I look forward to catching up again soon. Last night we had dinner with our good friends Becky and Brian where we grilled out, ate a TON of veggies that we cooked on the grill, ate Quinoa for the first time and I brought my new camera to try it out! We had a great time eating outside on the porch in the shade and the nice weather and then went inside for dessert (like we actually had room for it, but who can’t fit in ice cream in the summer). It was an altogether fun evening and we really enjoyed catching up and playing with Emily. If you want to see more pictures from our evening, check out my facebook page for more images of Emily and mom, since she’s usually behind the camera. I’m looking forward to many more evenings like this once I’m down to one full-time job. Here she is at almost 10 months old! It’s crazy how time flies. It seems like just yesterday I posted from our first visit after she was born and she was so little. In my world of photography, I have so many ideas stirring for this coming summer and winter. I have taken some time out to do a model search for a preview for some of the sessions I will be doing later this year and last night I photographed some of my good friends, Michael and Beth Wender’s daughter Ella! Later this year the Wender’s will be welcoming a baby girl to their family, but for this session it was all about Ella. What a stunning two year old little beauty in this amazing dress and oh did she love the pearl necklace that I had. At this age kids have such a curious nature and they are so carefree! Ella twirled for me, pushed the sleigh with the bear in it, fed the bear and gave it lots of hugs, and rocked away on the rocking chair. Thank you Beth for the good times and fun we had taking the images! It took awhile, but I have the selection narrowed down to about 30 favorites from the session. And a special thank you to all of you who allowed me to use your children as models in the search for images for my new sessions. It was such a pleasure to work with each and every one of you! I can’t wait to show you all the great images I was able to capture of your children. I look forward to announcing the session for late June/early July very soon! So if you would love a similar image of your little ones/ones, please stay tuned as all the details will be announced soon. 2011 brings a new avenue to Noelle Bell Photography! Now serving up cookies and coffee in my own home where I have set up a small studio and a home office. The days of meeting at coffeehouses without the abundance of coffee creamer flavors to choose from are now long gone. There is a beautiful living area where the studio has been set up and since we rarely eat at the dining room table that room has been converted into a beautiful office space! So sit back and enjoy a tour into Noelle Bell Photography. As you walk in your ears pick up the soft strains of music as you are greeted by a member of Noelle Bell Photography. Your eyes scan over a comfortable living area with satin and textured pillows on sofas that you can sink into with cherry furnishings and beautiful images hung on the walls of children, families and couples. The scent of fresh baked cookies wafts through the air along with a wonderful aroma of coffee coming from the office. From the living room, depending on the day, you can see the backdrop hung against the wall ready for the next creative session where beautiful images will be captured. As you walk past the open kitchen your eyes move towards the office, the comfortable seating arrangements, the coffee table stretched out in front of the seating area where magazines, sample albums and products sit. more wall displays and the large monitor for viewing your images after your session. There are two nice chairs to sink into for a consultation or a viewing session. I will post some images at a later point in time, but this is the special treatment that you will receive when you come in to visit Noelle Bell Photography! There are even chairs for the kids, and toys in the corner for them to play with.